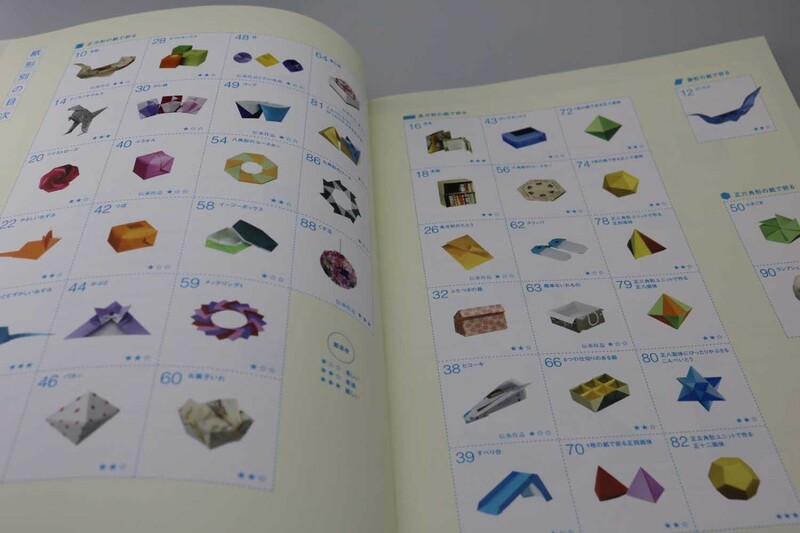 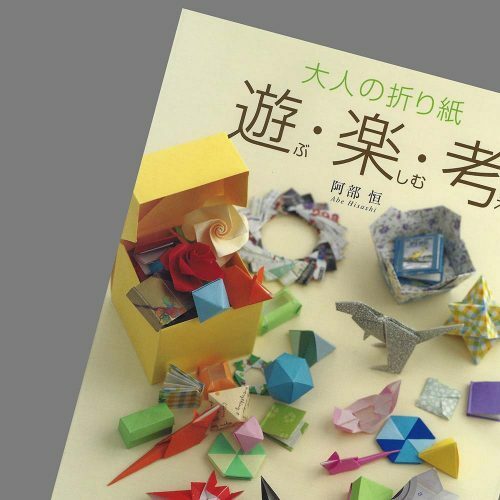 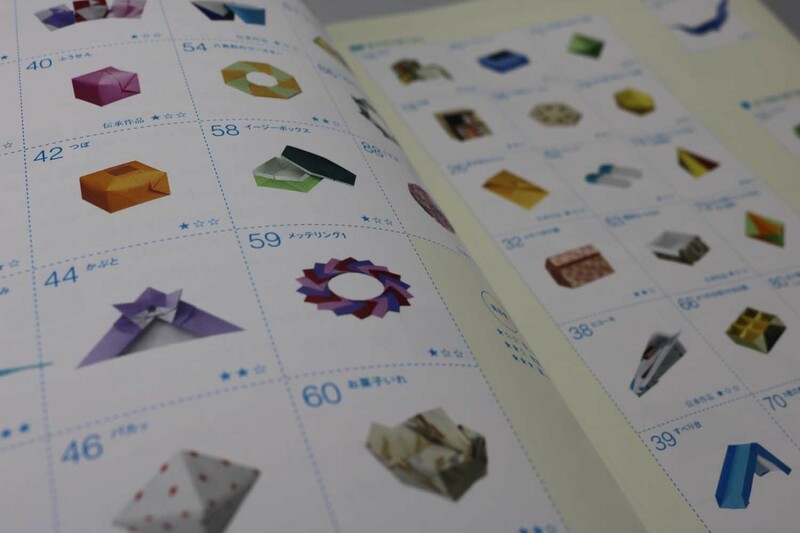 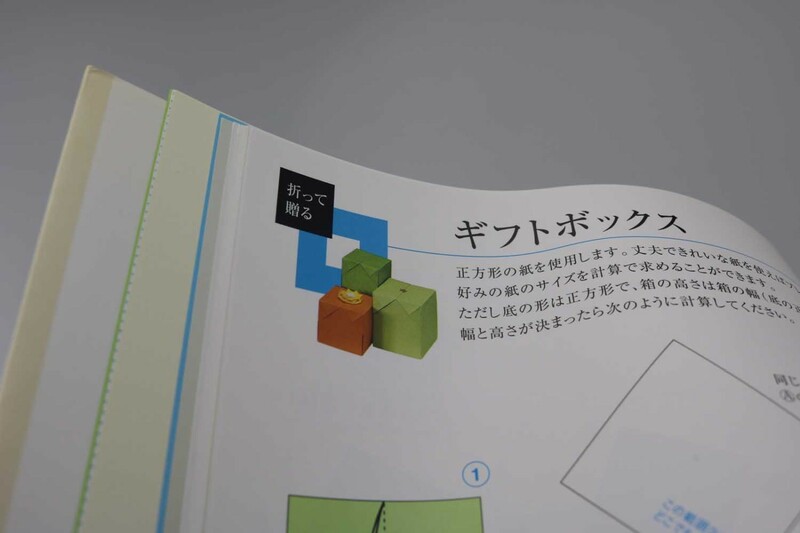 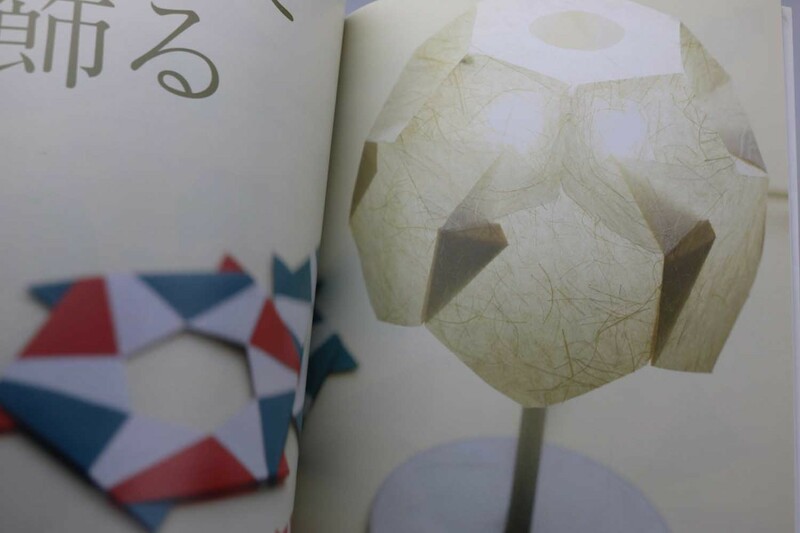 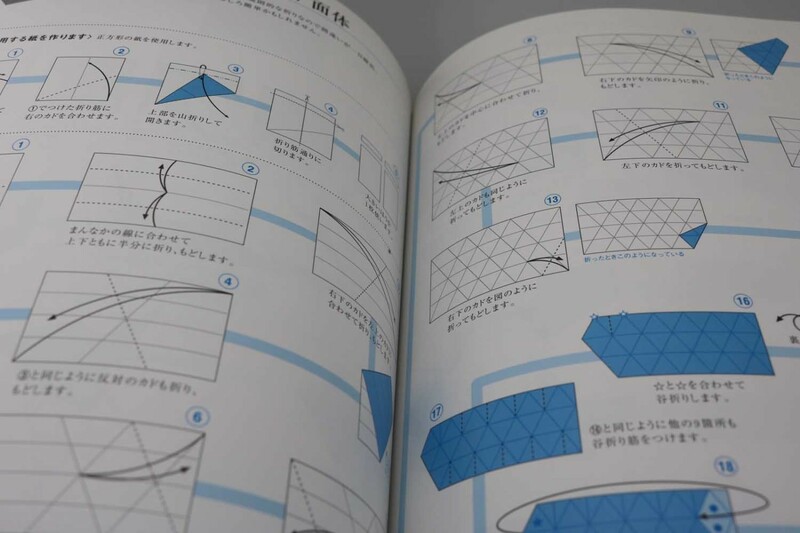 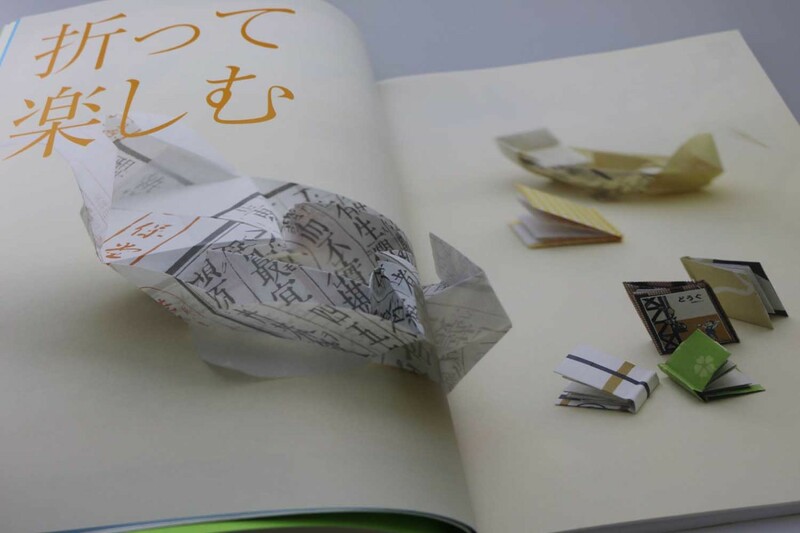 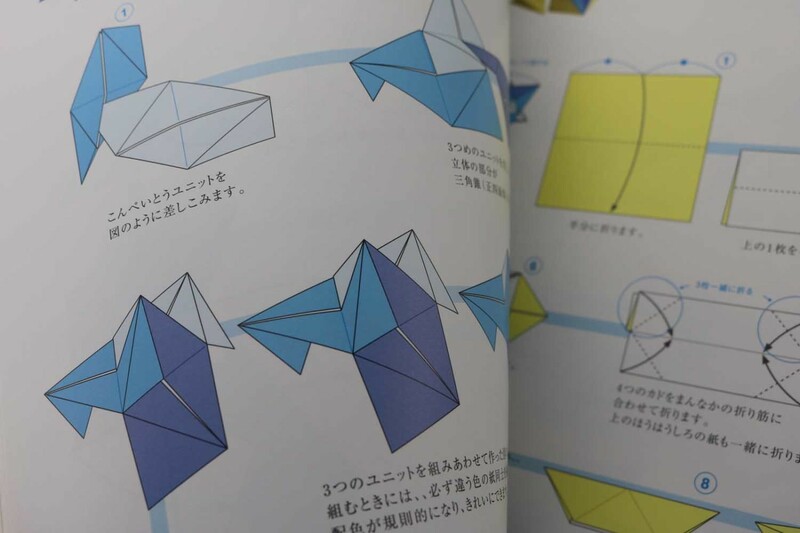 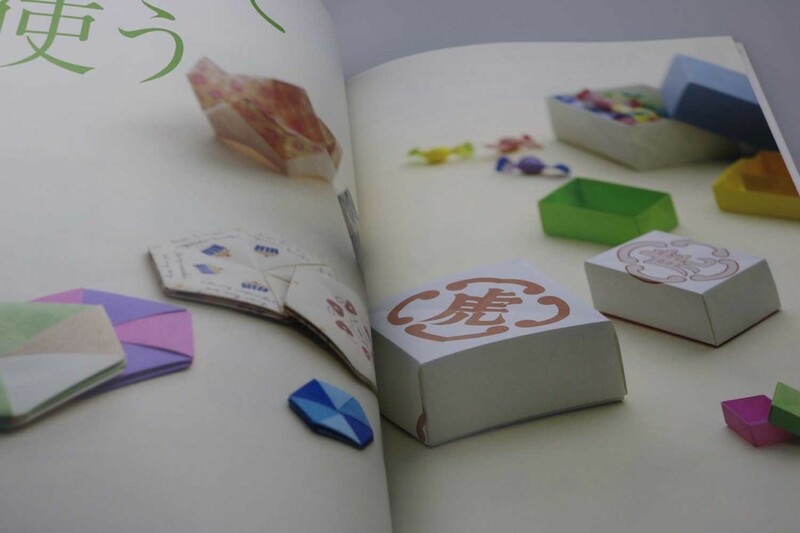 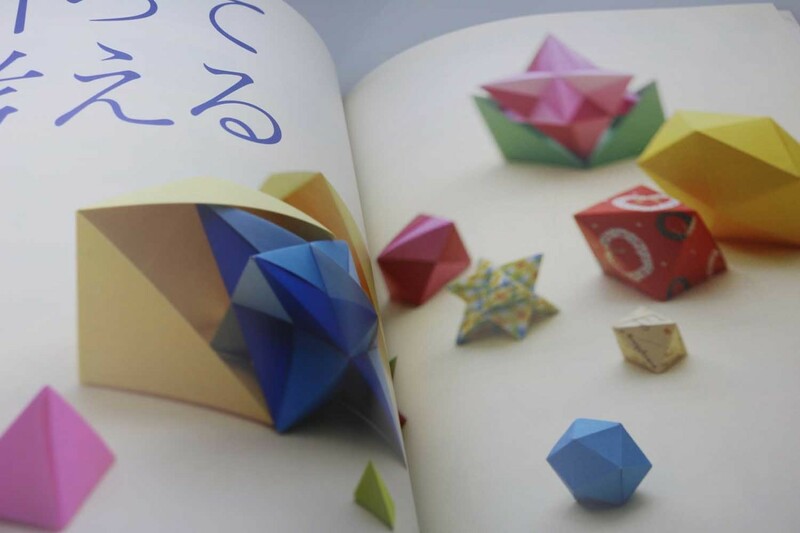 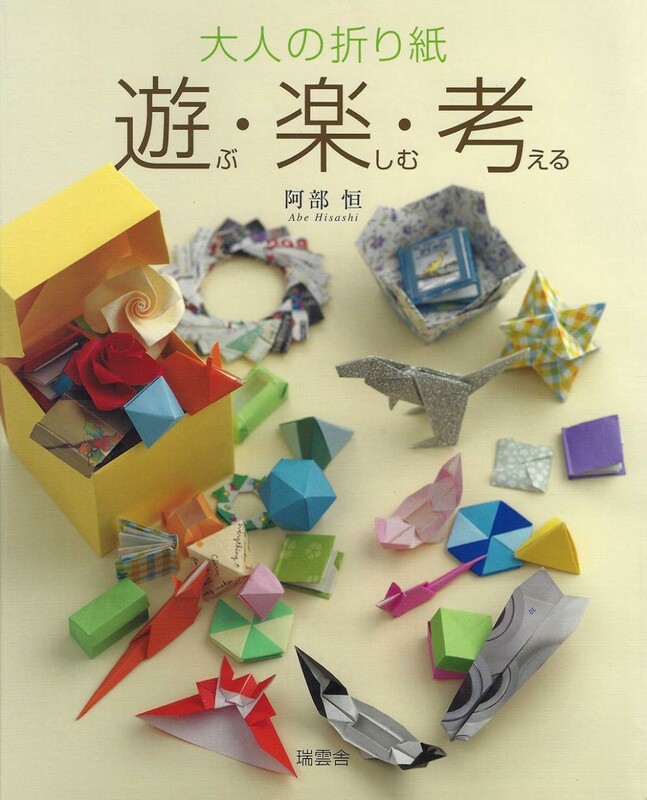 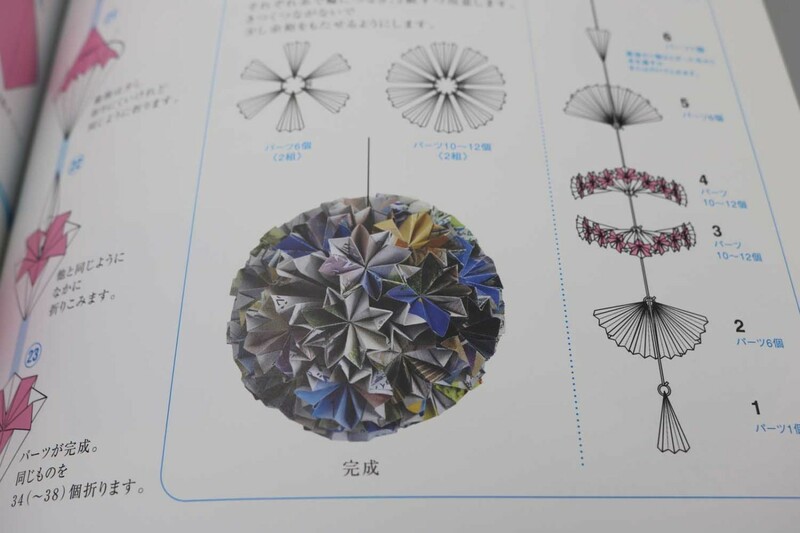 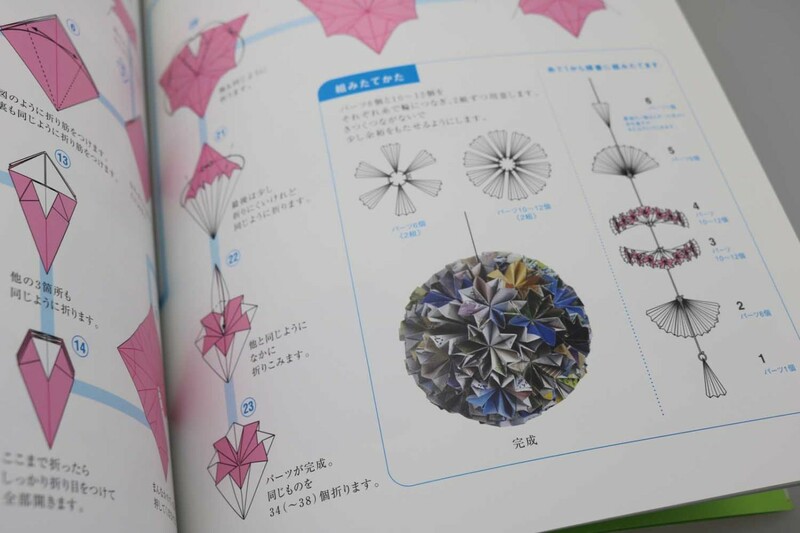 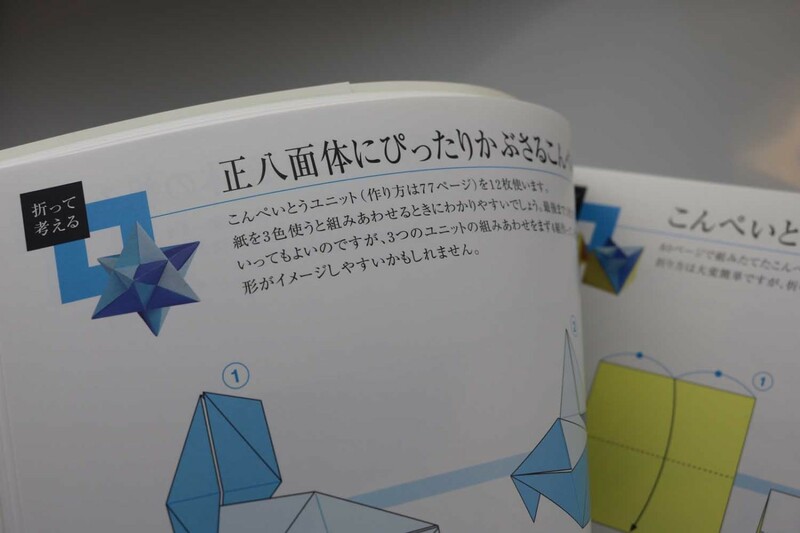 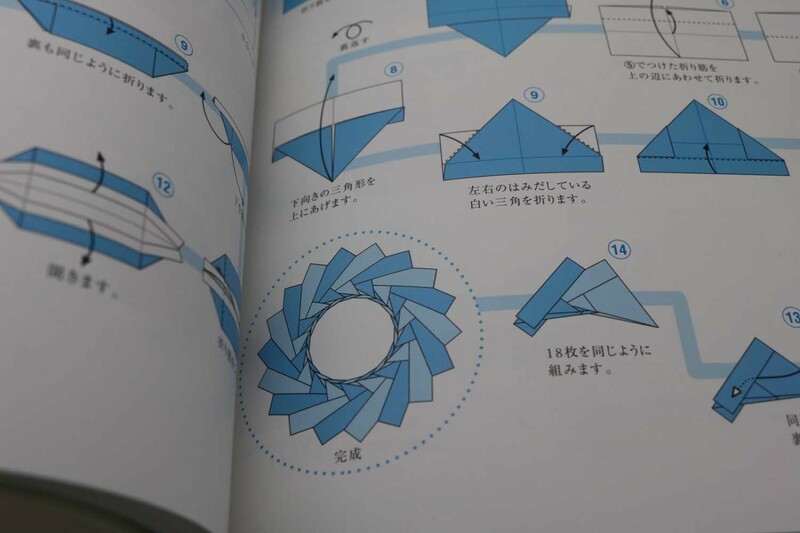 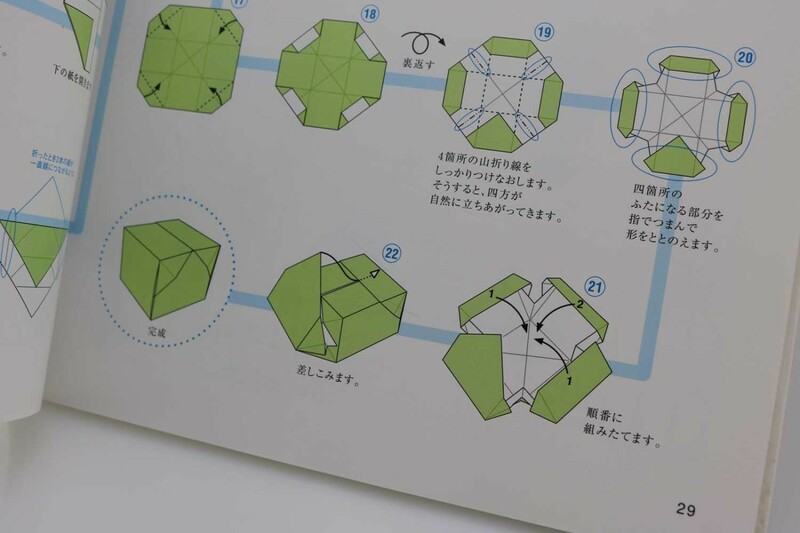 Hisashi Abe presents in this book 44 models from various fields: two Chinese junks, water bomb, dinosaurs, mice, rose, Kusudama, numerous polyhedra, open and closed boxes, rings, envelopes, cups, rocket, slide, bookshelf, slippers and a lampshade. 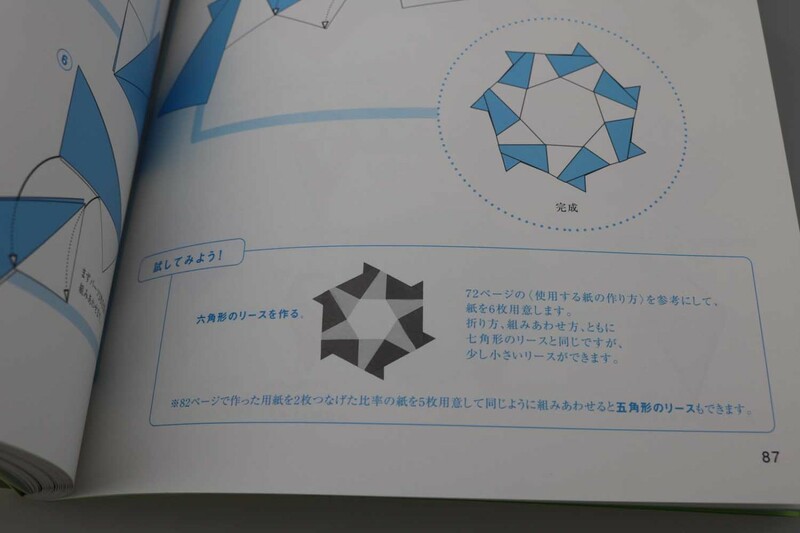 Some polyhedra and the rings are put together from the same modules. 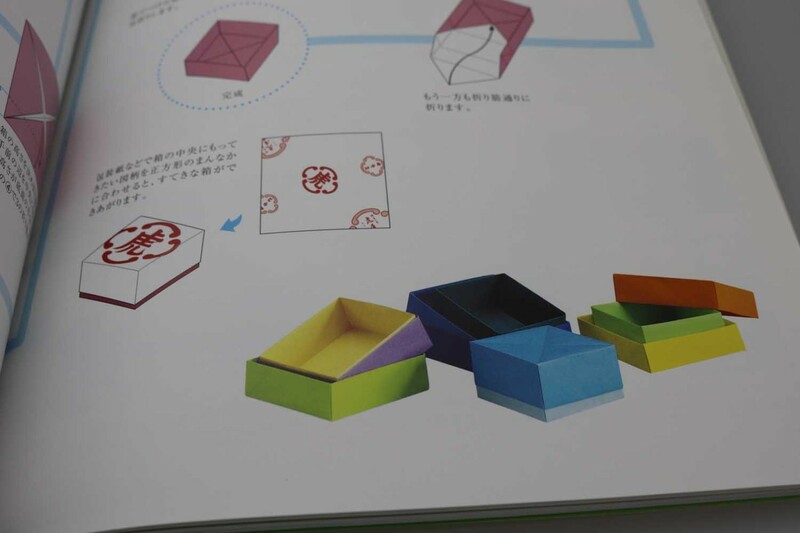 All other models are folded from a piece of paper.